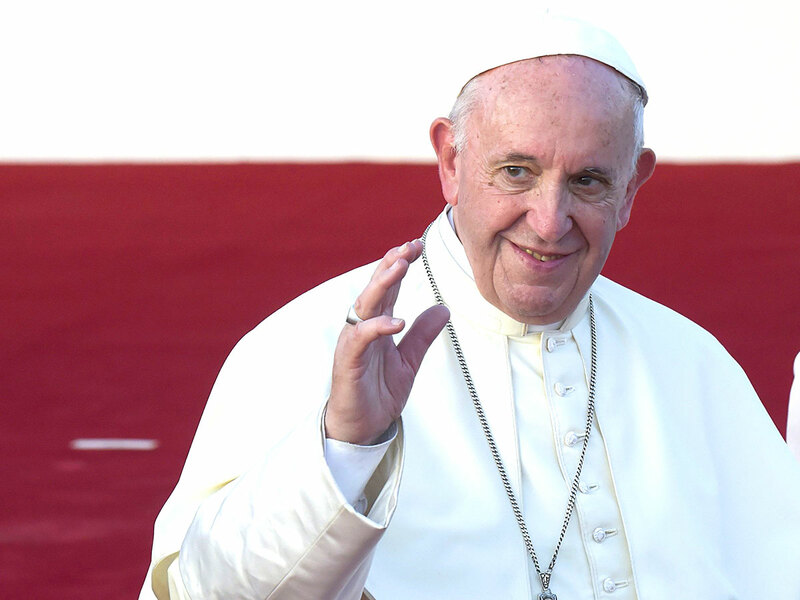 Pope Francis is coming to the region. This will be a pope’s first-ever visit to the Arabian Peninsula. His visit to Abu Dhabi signals the increasing band of tolerance that has begun enveloping the region in recent years. While the UAE has been the front-runner in religious tolerance, other countries in the Gulf Cooperation Council (GCC) are quickly picking up such traits. In Saudi Arabia and elsewhere, the visit by the Bishop of Rome and the leader of the worldwide Catholic Church will be followed with interest right from the touchdown of the aircraft carrying Pope Francis to Abu Dhabi International Airport. Much has changed in recent years beginning in the early part of this century when the Saudi government realised that the extreme fundamental teachings and practises that pervaded through all layers of society were, in fact, the very instruments that were causing the country harm. Under the guise of religious duties, much of Saudi society couldn’t experience freedom of thought or expression for fear of invoking the wrath of the mighty clerics. The feared religious police known as the Commission had indeed in the minds of many extended their powers beyond their charter before the late King Abdullah’s ascension. They soon began to feel the squeeze of the new tighter boundaries set by defined rules and operative procedures. The hardline head of the Commission was replaced by a more tolerant figure and errant Commission members who exceeded their roles and limits against the public were brought to task. A process of vetting intolerant and bigoted individuals within the Commission began in earnest and slowly, the social landscape of the kingdom began to show a more tolerant face. Pope Francis’s upcoming visit is however not the first one between a Pontiff and a GCC ruler. As Custodian of the two holy mosques, late King Abdullah was more than a mere king. He had a far-reaching responsibility towards the Muslim world, which was coming under increasing attack following 9/11. Such a responsibility led to exercising political influence in the Islamic world with great prudence and discretion and taking distinctive steps to combat misunderstandings that could have led to the clash of civilisations. In 2007, King Abdullah met Pope Benedict XVI at the Vatican, the first-ever meeting between a Pope and a reigning Saudi king. During their 30-minute meeting, the promotion of interfaith dialogue was discussed and agreements reached to promote such a doctrine. In 2011, the King Abdullah Bin Abdul Aziz International Centre for Inter-religious and Intercultural Dialogue (KAICIID) came into being, a brainchild of this astute leader who pushed for inter-faith dialogue among all the world’s great religions. King Salman met French cardinal Jean-Louis Tauran in Riyadh last year, the first visit to the kingdom by such a senior Catholic authority. The meeting between the king and Tauran, who heads the Vatican’s Pontifical Council for Interreligious Dialogue, is the first ever on Saudi soil between a Saudi ruler and a Catholic official. It followed a flurry of meetings between senior Saudi figures and representatives of other Christian traditions in recent months, raising hopes of more openness in the kingdom that hosts Islam’s holiest sites, but had once frowned upon the public practice of other faiths. Lebanon’s Christian Maronite Patriarch also visited Saudi Arabia. The Patriarch, Beshara Al Rai, is the head of the Maronite church, a branch of the Roman Catholic Church that has a presence in Lebanon, Syria and Cyprus. Also, in 2018, Saudi Crown Prince Mohammad Bin Salman met the head of the Anglican church in London and promised to promote interfaith dialogue as part of his domestic reforms. The young crown prince proposed drastic changes that would promote his transformation agenda called Vision 2030, aimed at introducing massive social changes and weaning the country off its dependence on oil. Within a few short years, measures introduced by the crown prince have catapulted Saudi Arabia among the top-ranked nations with previously unimaginable liberties in the country. Yes indeed, the Pontiff’s visit to the region would certainly be welcomed for the many millions of Christians in the region, and also continue to help defray some of the mutual distrust and wariness between faiths. It will undoubtedly lead to a more harmonious relationship between people of different faiths and the UAE should be commended for its gracious invitation to the pope.